David McKay says as long as a carbon price is reinvested in innovation and technology, the province, and Calgary, could establish itself as a global centre for the transition to a low-carbon future — led by the energy sector. 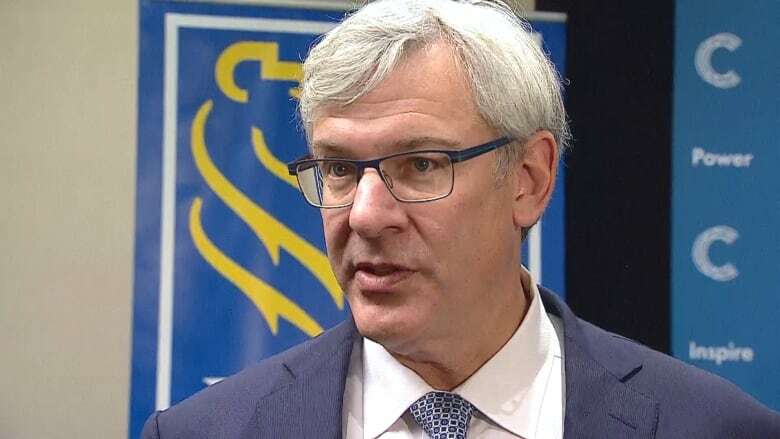 Alberta has a "historic opportunity" to capitalize on its sustainable energy innovation and technological prowess, says the president and CEO of RBC. "Alberta has led the world with a meaningful carbon price and cap on emissions," said David McKay, speaking Friday at the Calgary Chamber of Commerce. "As I've said for years, this is very significant and tells the world that we want to lead in clean energy innovation." He said as long as a carbon price is reinvested in innovation and technology, the province, and Calgary, could establish itself as a global centre for the transition to a low-carbon future — led by the energy sector. McKay said that by 2030, demand for energy will be 10 per cent higher than it is today, led mostly by growth in Asia. "We are one of a handful of producers capable to meet this demand sustainably and responsibly," he said. Artificial intelligence and the skills developed through reducing emissions and accessing difficult oil deposits could position Alberta as a sort of Silicon Valley, he said. That doesn't mean there aren't challenges, according to McKay. He points to the need for smart regulations — including careful crafting on the details of Bill C-69 — competitive taxes and incentives for innovation, getting energy infrastructure built and supporting the energy sector, technology and innovation, to be able to push the idea of a surging Alberta forward. McKay said investors are feeling positive about the state of global commerce but are "skeptical about Canada and our ability to execute on resource development." He called the federal purchase of the Trans Mountain pipeline a "bold" move but said that boldness must continue and Canada's oil can't remain landlocked. "Our country is more divided than it should be between provinces and between regions, and we won't reach our goals if we don't work together," he said.